Love and Mistletoe by Jean Oram is the fifth book of the contemporary romance The Summer Sisters series. Each book in the series has a different leading couple so they can be understood as a standalone if choosing to do so. I haven’t read the previous four myself but I do believe there are updates on previous characters for those that have. Simone Pascal has decided that she has worked hard enough and long enough and that no matter how much money she earns she isn’t happy so she decides to sell her business and start a family. The one obstacle Simone had in achieving that goal was no man in her life but she’s not letting that stop her at all either however getting trapped in a blizzard without her hormone shots was not the plan. Josh Carson is a firefighter that is used to coming to the rescue so when he finds Simone trapped in the storm he only wants to help. Simone however having decided she won’t rely on anyone is going to take a little convincing to let Josh in and to let him help but the two are stuck together until the weather clears. 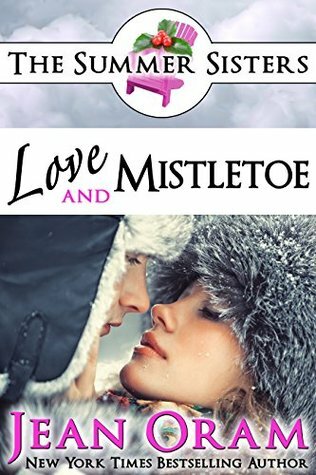 Ok, Love and Mistletoe is another of those that at some point I’ve downloaded as a freebie thinking it would be a cute/sweet quickie romance. However, there was one problem I had with this one that really turned me off, Simone drove me crazy. I don’t know whether the author was pure genius or not since Simone is fighting the hormones but she was so darn stubborn it drove me up a wall. I love a strong lead, don’t get me wrong but knowing when to ask for help comes within that strength too so this one turned out to not be my cup of tea after all. Muskoka is a real place–and North America’s rich and famous really do vacation there! Trixie Hollow, the Summer Sisters’ cottage, was inspired by a cottage that has been in Jean’s family since it was built in 1900. The hammock Connor rests in on the verandah is a favorite of Jean’s husband. As a child, Jean used to fear that her older brother was going to swing her right over the edge of the verandah when he pushed her on it. The Wenonah and Segwun mentioned in the books are real steamships that still run in Muskoka to this day. Jean even got to steer one of them once. 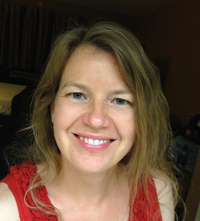 Jean Oram is a New York Times and USA Today bestselling romance author who writes feel-good small town romances. She grew up in a town of 100 (cats and dogs not included) and owns one pair of high heels which she has worn approximately three times in the past twenty years. Jean lives in Canada with her husband, two kids, cat, dog, and the pesky deer that wander into her yard to eat her rose bushes and apple trees. She can often be found outdoors hiking up a mountain, camping or reading a book. Too bad the main character was unlikable. I have to have some kind of connection to enjoy the book. Too bad this didn’t work for you. Thanks Carla, I’m sure someone out there would like it but it definitely wasn’t a favorite of mine.